Is It Time to Rightsize Your Healthcare Network? Changes in how Americans think about healthcare providers are driving many to reevaluate their strategies and determine if their existing healthcare facility network is the right model for success. If I close my underperforming locations, how will it affect performance of my other locations? Closing any healthcare facility is a tough decision, but may be the right answer if it’s not meeting expectations. Before making the decision to close your network, consider how a closure will impact your other network facilities. 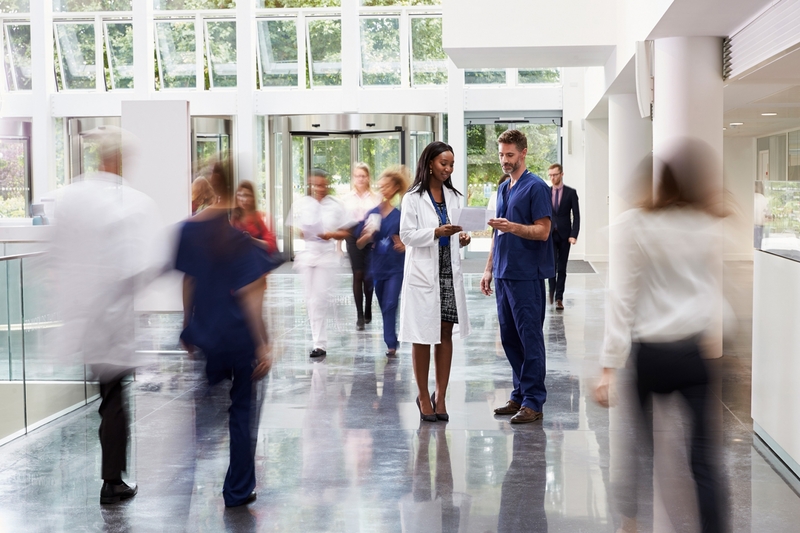 You may need to reorganize staffing or increase accessibility and space at other facilities to accommodate a potential influx in patients, or risk losing them to nearby competitors. If there will be additional costs to enhance an existing facility that you will keep open, how does this compare with closing a low-performing facility? Analyzing your trade area's population demand density will help you better understand the impact of a closure on the rest of your network. Would relocating an existing facility add more value than closing it completely? In addition to considering the impact of a closure on the rest of your network, you should leverage analytics to understand existing facility performance. If you find that a facility is underperforming, but your trade area reveals demand for the services it offers, relocation may be a better option than completely closing the current facility. Repositioning a facility could address low-performance issues and drive demand if you analyze the market and find an area better suited to your patient needs. This can also give you an opportunity to maximize your assets by service line. You may recognize it might be time to relocate a service line to a different location to better serve patients, and add a new service to the relocated facility based on patient demand. How will multiple relocations affect my entire healthcare network? If you are considering relocating multiple facilities, then you need to understand the effect of this type of change on your whole network. As consumers have more options than ever when choosing their delivery of healthcare, location is increasingly important when opening or optimizing healthcare facilities. Analyzing your potential scenarios all together will help you truly uncover the dynamics of this change and help you prioritize which facilities to open or optimize first to best serve your patient populations while maximizing the long-term growth of your network. Is it time to rightsize your network? Don’t rely on demographic data alone to drive your decision making when it comes to rightsizing your network. Learn how consumer analytics insights can help you rightsize your network with confidence. Watch this video to learn more about consumer analytics for healthcare facilities. Receive our monthly Healthcare Insights newsletter. Blog Home • Is It Time to Rightsize Your Healthcare Network? PREVIOUS ARTICLEWhy Is Your Site Selection Strategy More Critical Than Ever? How do you grow market share in healthcare?